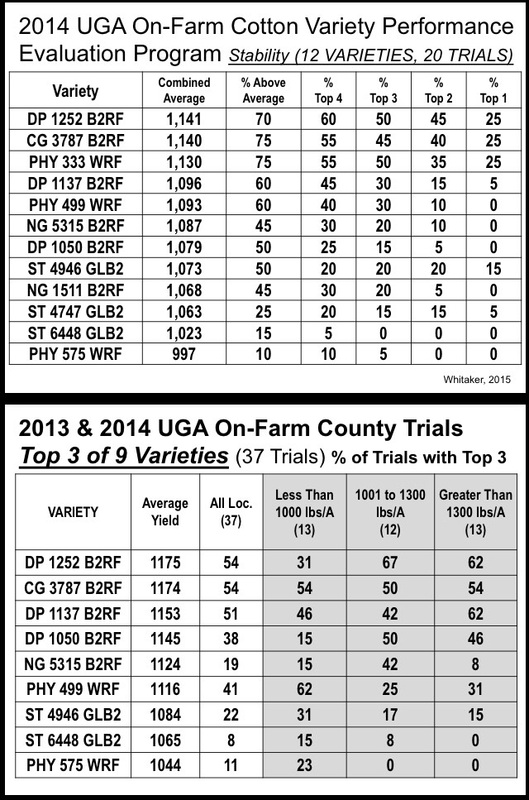 The results from the 2014 UGA on farm cotton variety trials are below. These trials are conducted at 20 different farm locations across Georgia cooperating with County Extension Agents, the farm owners, and UGA Cotton Specialists. Each trial is 10 to 20 acres. These are not small plots at research stations. 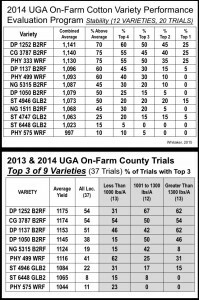 On average, the on farm variety trials are conducted on 300 acres across Georgia. 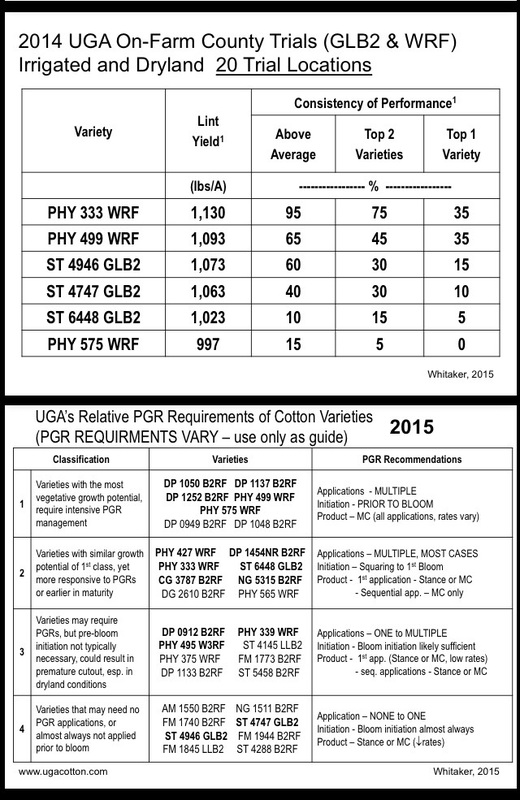 This allows us to see which cotton varieties are consistently high yielding. 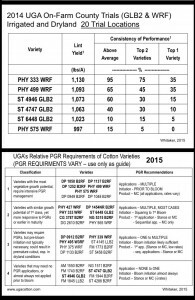 Posted in Cotton, Research Trials. Bookmark the permalink.